Set against the Palermo mountains, overlooking the Tyrrhenian Sea, Palermo is the capital city of Sicily, Italy. This historical city is home to numerous architectural wonders, glimmering coastlines and unparalleled Sicilian cuisine. 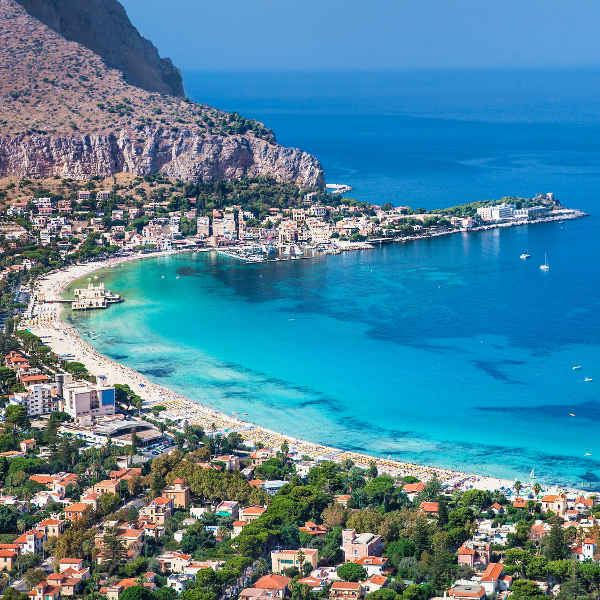 Boasting UNESCO World Heritage Sites, like the Norman Palace and the Cathedral Churches of Cefalu and Monreale, it is little wonder Palermo is a popular tourist destination. 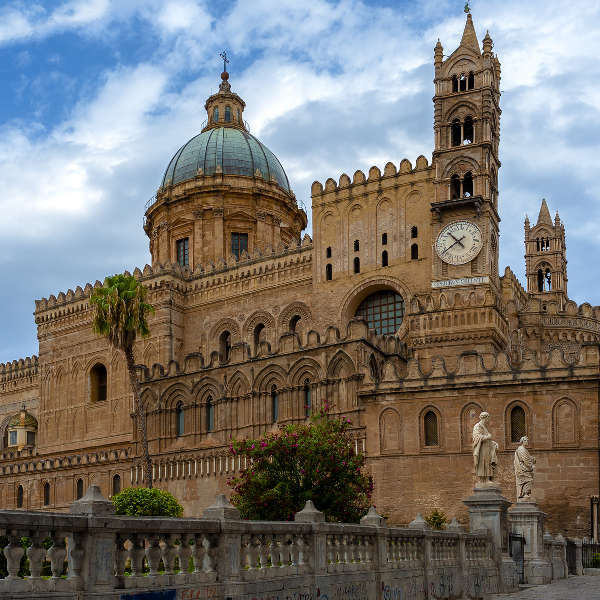 Cheap flights to Palermo are now available for a limited time only, so book your flight today and prepare to be swept up by the magnificent architecture and culinary delights this city has to offer! Palermo is home to Falcone–Borsellino Airport (PMO), a 40-minute drive from the city centre. Discover the unique sites of Norman Palace, the Cathedral Churches of Cefalu and Monreale, and La Martorana, testaments to the city’s heavy Romanesque, Gothic and Baroque influences. 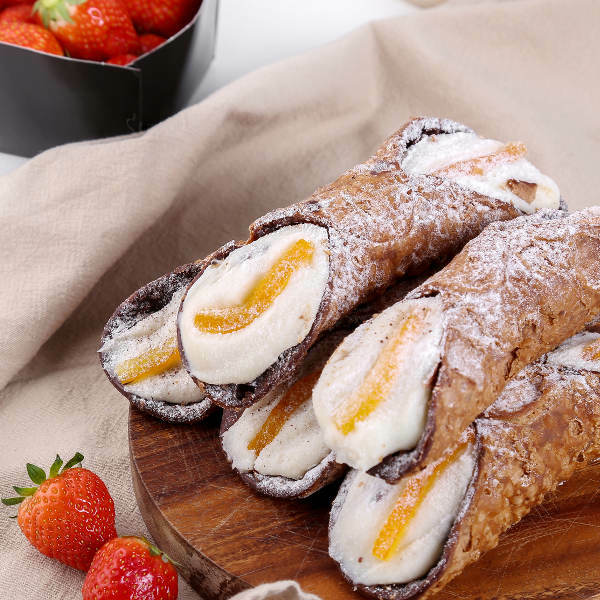 If the vibrant, colourful street markets don’t satisfy your culinary curiosity, the café’s sprinkled along the cobbled streets and harbour serve up the best in traditional Sicilian cuisine - just like Mamma! Fall in love with the gorgeous Sicilian coastline, its sparkling turquoise waters lapping against sprawling, white beaches. Charter a boat or pack in fins and a snorkel to explore the lagoons and nearby islands. With so many interesting attractions on offer, there is never a bad time to visit Palermo. August, however, sees most hotels and restaurants in Italy shutting down for the summer vacation, so avoid planning your trip during this month. Keep in mind that July sees throngs of visitors taking part in street celebrations, open-air concerts and flocking to Mondello beach. The ideal time to visit is during the shoulder-seasons of April-May and September-October when crowds have dispersed and the cooler weather makes for more pleasant sightseeing and optimal diving conditions. Founded in 734 BC by the Phoenicians, Sicily has fallen under many empires, including the Roman, Byzantine and Arab, eventually becoming part of Italy. Its capital city, Palermo, is famed for its fascinating architecture, deep-rooted history, effervescent culture and delightful cuisine. History lovers will have a field day exploring the ancient buildings, depicting a mixture of Romanesque architecture, Byzantine mosaics and Arabesque embellishments. Most of the sites around the city can be reached on foot, or hop on a bus and take a tour around the piazzas, cathedrals and parks, stopping off at the Vucciria and Capo markets to sample the fresh panini, saffron-scented arancine and cannoli. Some iconic landmarks include the Catalan-inspired Cathedral, Norman Palace, La Martorana, the Capuchin Catacombs and the historic Archaeological Museum. Catch your breath from exploring these majestic spectacles and take in an opera at Teatro Massimo or experience the vibrant sights and sounds of Ballaro Market. The exquisite beaches of Mondello and Ustica are the gems of Palermo, perfect for snorkelling, sailing and relaxing along the sun-drenched coastline. Compare several airlines, and book your cheap flights to Palermo online at Travelstart! Much like the whole island of Sicily, Palermo is a very safe destination. Nonetheless, always maintain a general sense of awareness and caution and keep valuables close at hand. Palermo is perfectly safe to walk around by day, though it is not advisable for solo female travellers to walk around at night, especially around the neighbourhoods of Kalsa and Lo Zen. Always check your change at the supermarkets as cashiers are known to rip off tourists (and even unsuspecting locals). Despite what the movies may depict, you are in absolutely NO danger of organised crime, and the locals don’t appreciate visitors using the word “mafia” in public. Remember to pack in lots of sunscreen for those hot summer days!